Day 32 – A Cool Website! 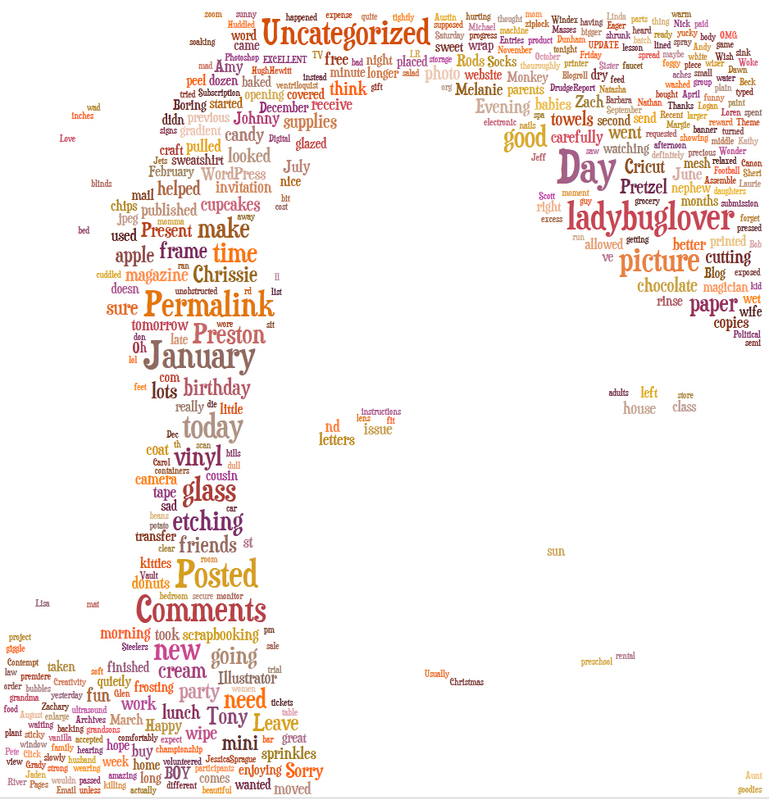 I was reading through the forum at Jessica Sprague…..and I ran across a post with a link to a website http://www.tagxedo.com/ where you can create images using words….or words from your blog….poems…etc. 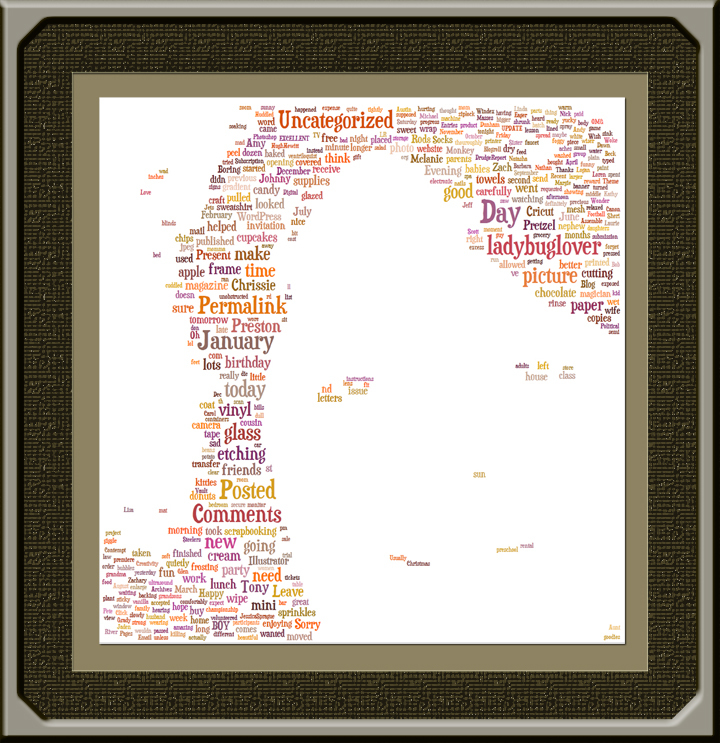 I used the words from my blog….and created a picture of me! I actually used the picture of me on my blog. Click to enlarge the picture below. I took this photo into Photoshop CS4 and created a digital frame and mat for it…..just for fun. This entry was posted on Tuesday, February 1st, 2011 at 3:23 am and is filed under Uncategorized. You can follow any responses to this entry through the RSS 2.0 feed. You can leave a response, or trackback from your own site.